2016 was a year headlined by surprises and heartbreaks all over the world. Whether it was Leicester City’s incredible triumph, The Cleveland Cavaliers’ amazing comeback, or the loss of greats such as Muhammad Ali and Prince, this year has been filled with unforgettable moments and it was no different for Iraqi football. 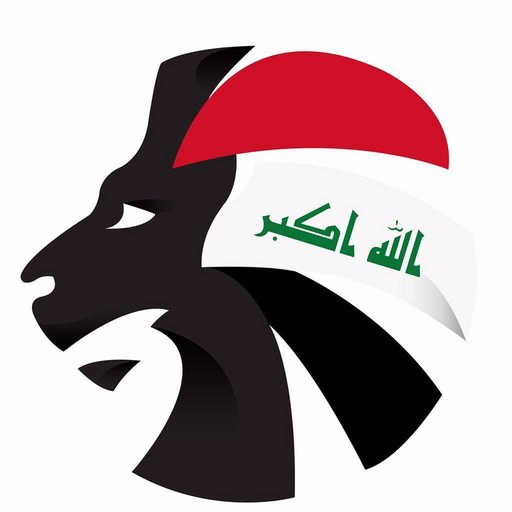 Us here at SoccerIraq will take you through the ups and downs of the past year through the eyes of the beautiful game in Iraq. Early on in the year, the young Lions headed to the Qatari capital to defend their U23 title, and, more importantly, to clinch one of the three spots to the Olympic Games in Rio de Janeiro. The young squad managed fittingly by a young manager, Abdul Ghani Shahad, had high expectations from the Iraqi fans and experts alike and they did not disappoint. A last gasp strike by Riki Harakawa in the semi final meant that Iraq were not to win back-to-back tournaments, but the Lions clinched on to their Olympic dreams and scored a late goal themselves in the third place playoff match to force it to extra-time against the hosts, before winning the game thanks to an Ayman Hussein header. To read our in-depth review of the tournament, click here. 2016 saw the last of the Golden Generation of the mid-to-late 2000s retire from international duty. First, legendary goalkeeper Noor Sabri retired following the 2-2 draw vs Thailand. The shot stopper was only one match away from his century cap but opted to quit the national side following the disappointing Thailand game. Five days later, the centre-back partnership of Ali Rehema and Salam Shaker which protected the Iraqi goal for the better part of seven years came to an end as both players announced their retirement following the 1-0 victory over Vietnam; between them they represented the Lions 206 times, scoring 6 goals. Following the Vietnam match was also the departure of one the greatest strikers in Asia’s history as Younis Mahmoud announced his retirement from the national team. The iconic striker ended his career as Iraq’s most-capped player and their third highest goal scorer, playing 148 times and scoring 57 goals. Last but most certainly not least was Alaa Abdul-Zahra. The attacking midfielder called it a day following his 101st cap against the UAE this past October, making him one of the last of the generation that played in the Confederations Cup to play for Iraq. 2016 finally saw the return of our beloved cup competition. The FA Cup had not been played in Iraq since the 2002/03 season (not counting the 2012/13 edition that was cancelled midway through) but all that changed this campaign. Despite many issues regarding scheduling and teams withdrawing from the competition, the tournament was filled with spectacular moments, especially the cup runs of second division sides Al-Khutoot and Al-Hussein, both of whom reached the quarterfinals of the competition after beating Premier League sides. Al-Quwa Al-Jawiya turned around a 4-1 deficit in the first leg of the semi finals against Duhok to reach the final where they met league champions Al-Zawraa. The ‘Iraqi El Clasico’ was played on the iconic Al-Shaab Stadium in Baghdad and was televised live in HD which allowed fans from all over the world to watch Al-Quwa Al-Jawiya win their 4th title in the history of the competition. The U23 team was not the only youth team to impress this past year. A very young squad emerged on the Iraqi football scene as they grabbed the headlines when they went on a fantastic run to win the U16 Asian Cup in India. A star was made during that tournament; Mohammed Dawood stole the spotlight as he was the main scoring outlet for the team, scoring 6 goals in as many games as well as picking up the ‘Player of the Tournament’ award. The win meant more than winning a simple youth tournament – it meant that Iraq became the first nation to win the AFC Asian Cup at every single age level (U14, U16, U19, U23 and Senior). It also meant that Iraq would qualify to the Under-17 World Cup this year in India. Once the draw for the Olympic Games was announced, the Iraqi people and players alike were both nervous and excited to go head-to-head with the Seleção on their own soil. Millions of Iraqis stayed up till 5 AM to watch the Lions clash with the hosts who were itching for redemption following disappointment in the past two years in the World Cup and the Copa Americas, combined with the fact that the Olympic medal was the only gold missing from their trophy cabinet. The Lions however had other ideas as the 66,000 people in the Garrincha stadium were struck with awe by the performance of the Iraqi Olympic team. A defensive masterpiece orchestrated by Abdul Ghani Shahad led Iraq to hold a memorable 0-0 draw that was celebrated by fans and players alike, but perhaps what was most notable from that match was Alaa Mhawi’s incredible performance where he gave superstar Neymar no breathing room as he held his ground and kept him quiet all game long. Brazil fans were so impressed with the Iraqi side that they ended up cheering Iraq’s name at the end of the game. It was a rollercoaster of emotions for Iraqis in that one week of August. Three days after that great performance in Brazil, 37,000 people came to Corinthians Arena in Sao Paulo with many expecting Iraq to go through to the knockout stages, and all that separated them was a South African side that they needed to beat. However it wasn’t meant to be as Iraq were behind early on thanks to a Gift Motupa goal in the 6th minute. Iraq came back to equalise through a Saad Abdul-Amir header in the 14th minute. What followed was a display of poor finishing, great goalkeeping, and sheer luck that was not on the Lions’ side as Iraq hit the post three different times and spurned a number of other great opportunities. The match ended 1-1 to the disappointment of players and fans alike. Iraqi fans criticized the team for their failure to qualify to the next round despite promising displays against Denmark and Brazil. This led to Ali Adnan announcing his retirement from International football, a decision that was made in the heat of the moment and he came back a few days later. 2016 saw an Iraqi club finally win the AFC Cup as Al-Quwa Al-Jawiya became the third Iraqi team to win a major continental competition and the first to lift an AFC trophy. A fantastic campaign concluded with a 1-0 win over Bengaluru in Doha, Qatar. 5 wins out of 6 meant that Jawiya comfortably finished first in their group. They went on to face the league champions of Jordan and Syria and the league runners-up of Lebanon on route to the final but were unfazed by the competition. Hammadi Ahmed proved his goal scoring prowess by picking up the top scorer award of the competition with 16 goals, scoring in every single game he played in. He also picked up the most valuable player award as Jawiya won their second trophy of the year and their 22nd major honour. The road to the 2018 World Cup was rocky to say the least; under Yahya Alwan the Lions struggled in their relatively easy group, finishing second behind Thailand with only 3 wins, two of whom against Chinese Taipei who achieved zero points in the group. Coach Yahya Alwan was sacked following a 2-2 home draw vs Thailand and interm manager Abdul Ghani Shahad successfully took charge of the must win game vs Vietnam which meant Iraq just squeezed through to the final round of qualifiers. Iraq were met with a deadly group consisting of Japan, Australia, UAE, Saudi Arabia and finally Thailand. Radhi Shenaishil took charge of the Iraqi national team in the final stage but it led to disastrous results. 4 losses in 5 games mean that Iraq are now all but eliminated from contention, and the World Cup dream is going to have to wait for at least another half-decade. The retirement of Younis Mahmoud left Iraq in dire need for a new striker and one man stepped up to the occasion. Mohanad Abdul-Raheem Karrar has left his mark on 2016 with some brilliant performances. Following his title-winning performances with Al-Zawraa that saw him share the league’s Golden Boot with Hammadi Ahmed, Mohannad transferred to the UAE to ply his trade with Al Nasr. He was quick to adapt as he scored on his first start for the Dubai club and ended the year with 4 goals in 10 appearances in the Emirati league, meanwhile on the national stage he has taken the place of Younis Mahmoud with good form, scoring 5 goals in as many World Cup qualifying games. 2016 saw the return of Iraqi players on the podium in Asia. Hammadi Ahmed became the first Iraqi to be nominated for the Asian Player of the Year award since Nashat Akram and Younis Mahmoud nine years ago in 2007. The Al-Quwa Al-Jawiya striker finished second behind Emirati superstar Omar Abdulrahman following his fantastic year. Joint-top goal scorer of the Iraqi Premier League, winner of the FA Cup, and a clean sweep at the AFC Cup saw him earn a deserved second place in the Asian continent. With 29 goals in all competitions in 2016, Hammadi had a truly memorable year. Ali Adnan becomes the first Iraqi to score in Serie A.
Ali Faez signs for Caykur Rizespor in Turkey. Karbalaa, Basra, and Erbil stadiums prepare for the FIFA delegation in hopes of lifting the ban on Iraqi stadiums. 2007 AFC Asian Cup winner Ali Abbas returns to the Iraqi squad after a 3322 day absence. Justin Meram wins Colombus Crew’s ‘Player of the Season’ award.